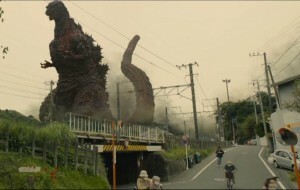 Shin Godzilla, a.k.a. Godzilla Resurgence, already made a big splash in Japan when it opened at the end of July, but its U.S. release date remained a mystery. Funimation Films acquired the film during San Diego Comic-Con, but they’ve remained silent about their distribution plans, until now. Over the weekend, they announced the monster film’s official release date here in the States: October 11th. That’s right, we’re just a little over one month away from seeing a new Japanese Godzilla movie on the big screen. The release will be limited, with only a little over 400 theaters screening the film, and the window is also pretty tight. Theaters will only show the film until October 18th, which gives fans a mere week to see the sequel. But if you are, indeed, interested, you can get your tickets very soon. Funimation Films plans to start selling tickets on their website starting September 9th, and it would be in your best interest to get them sooner than later if you’re a fan. I’m just saying. Directed by Hideaki Anno (the creator of Evangelion) and Shinji Higuchi (the live-action Attack on Titan movies), Godzilla Resurgence is the 31st film in the long-running monster series, and it is currently the highest grossing 2016 live-action film in Japan. 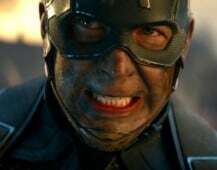 It has a gross of nearly $51 million at the moment. Of course, this is just the beginning for our buddy Godzilla, especially here in the States. Legendary’s Godzilla 2 is still slated for March 22, 2019, while there’s going to be Godzilla vs King Kong coming in 2020 as well. Oh yeah, and there’s apparently an animated Godzilla movie coming out in the near future too. Godzilla is roaring back onto the big screen, and you can’t catch him again on October 11th with Godzilla Resurgence in a theater near you (hopefully).